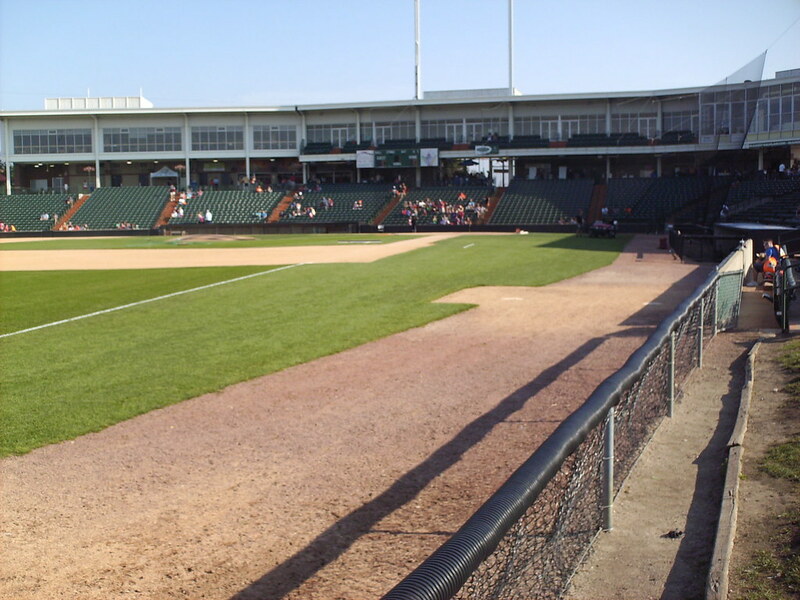 The view from behind home plate at Boomers Stadium. 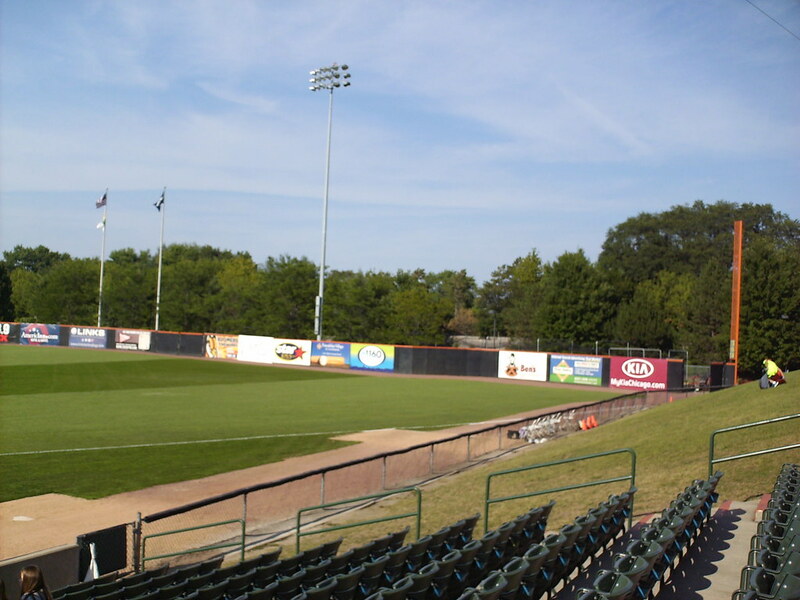 The grandstand at Boomers Stadium as seen from the left field corner. 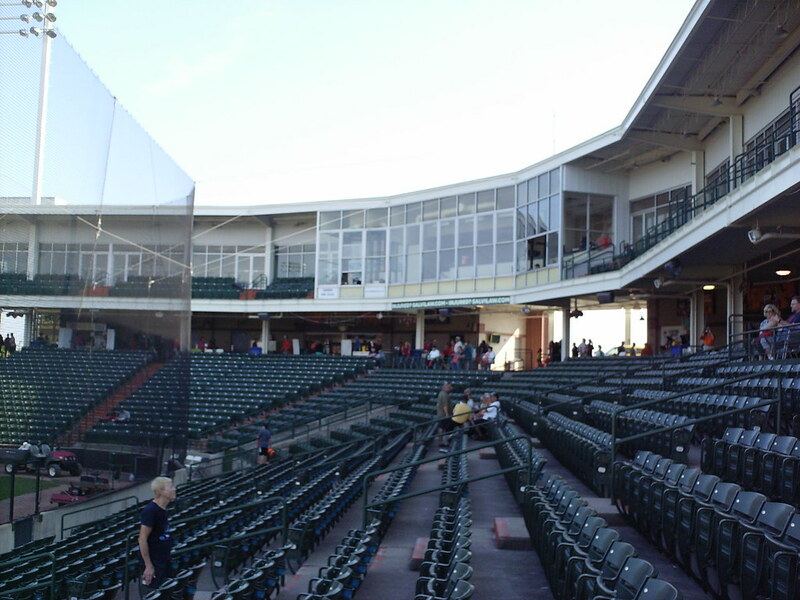 The glass enclosed pressbox and luxury suites behind home plate. 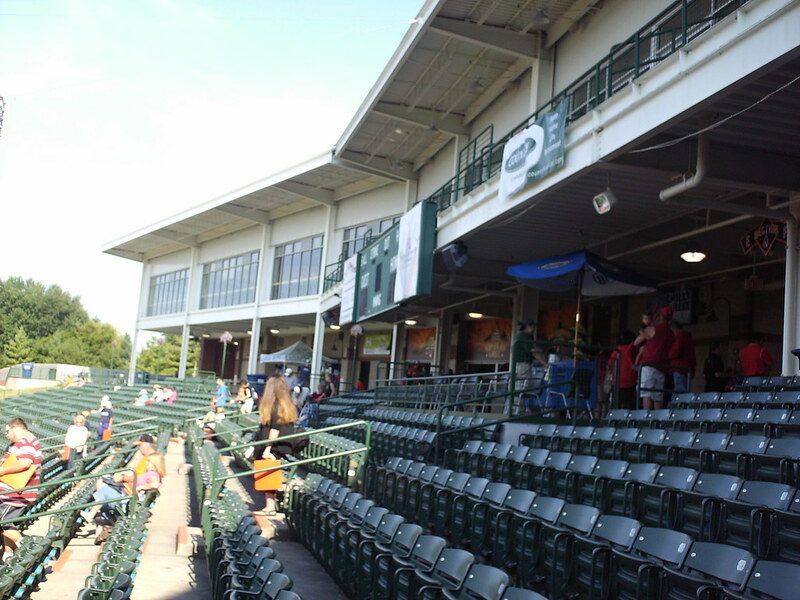 An auxiliary scoreboard hangs from the second deck down the first base line. 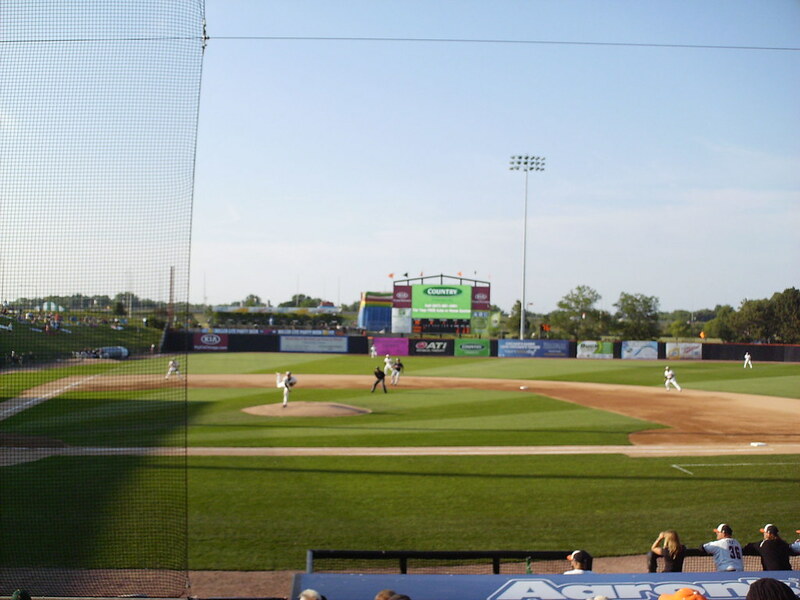 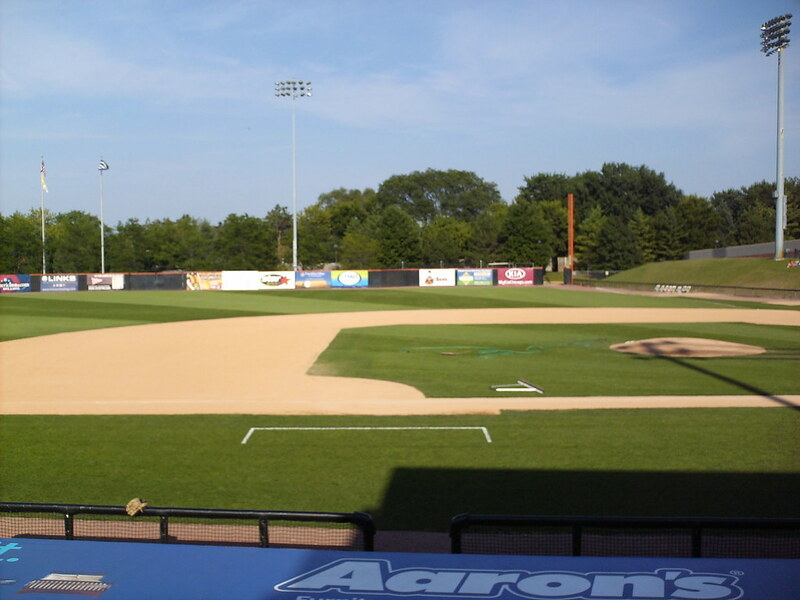 The field at Boomers Stadium is laid out to the same dimensions as nearby Wrigley Field, including the bend in the middle of the first base dugout. 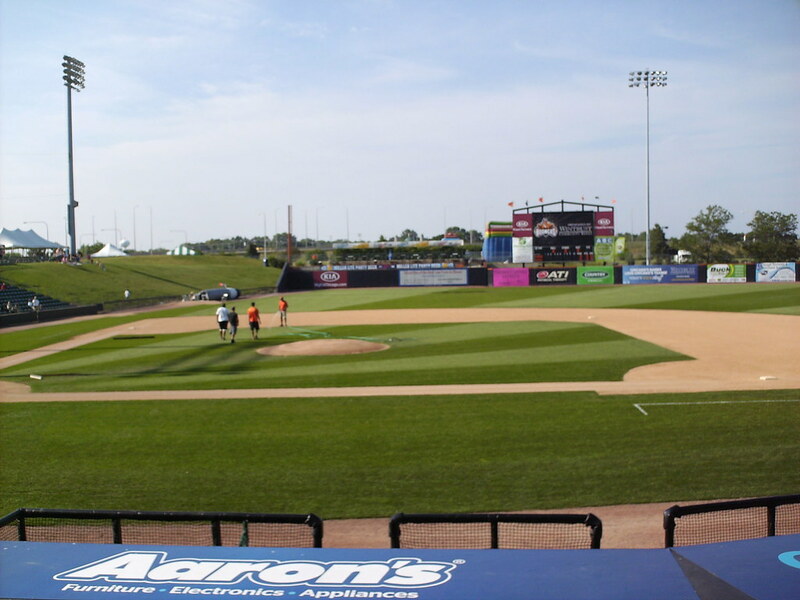 The Wrigley-esque dimensions include the alcoves in the left and right field corners. 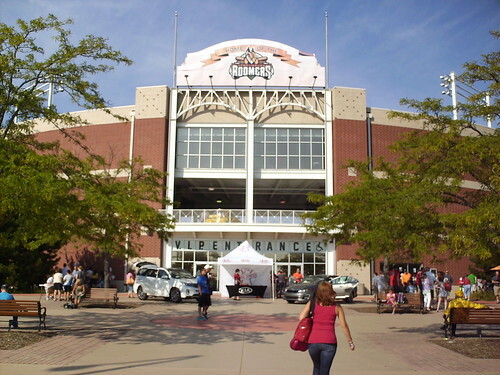 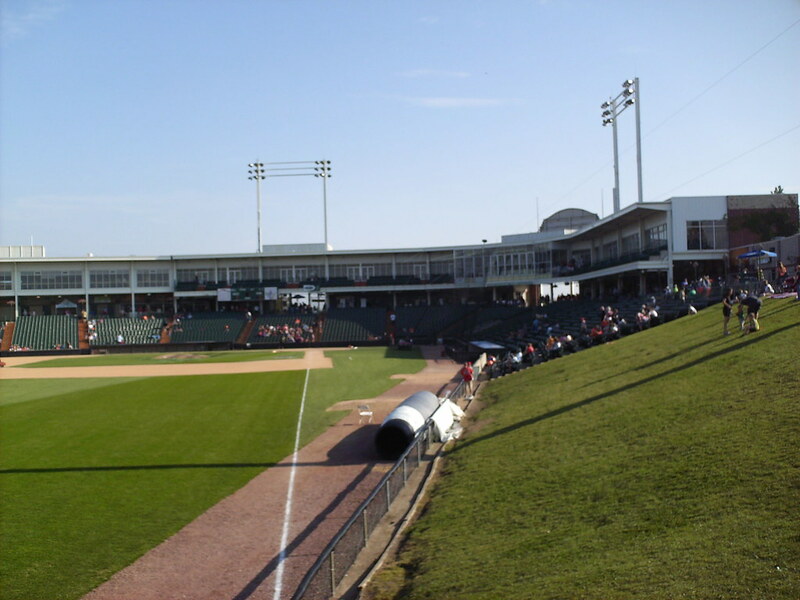 The land that Boomers Stadium was built on was once purchased in the 1980's as a possible site for a new Wrigley Field. 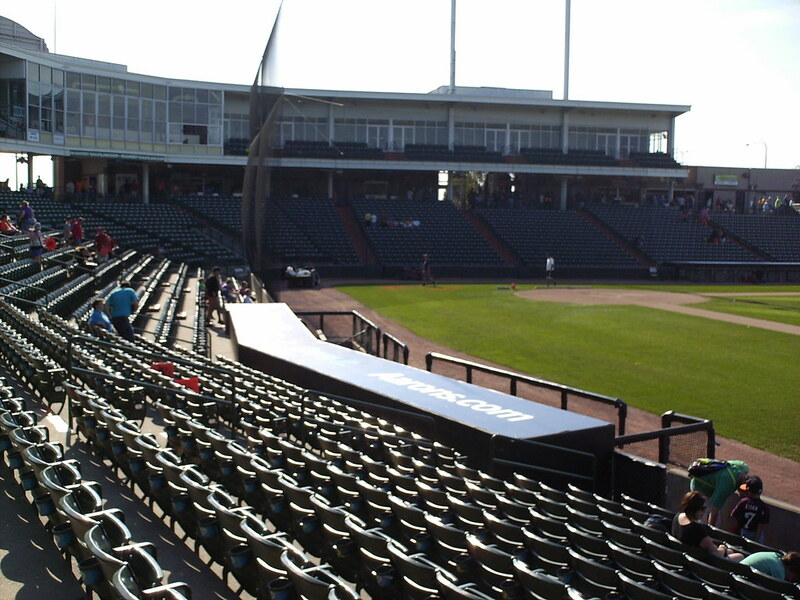 A group seating area sits over the left field alcove, with a kids play area behind it. 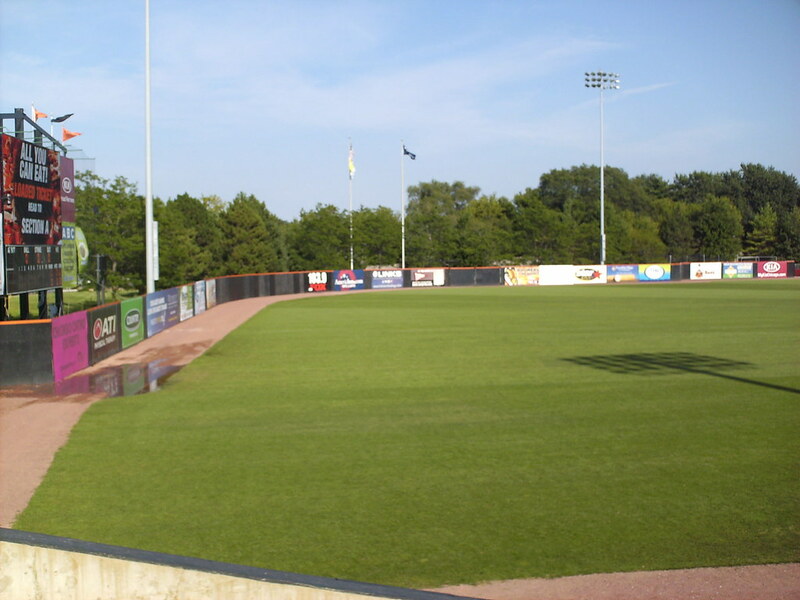 The bullpens are located in foul territory down the first and third base lines. 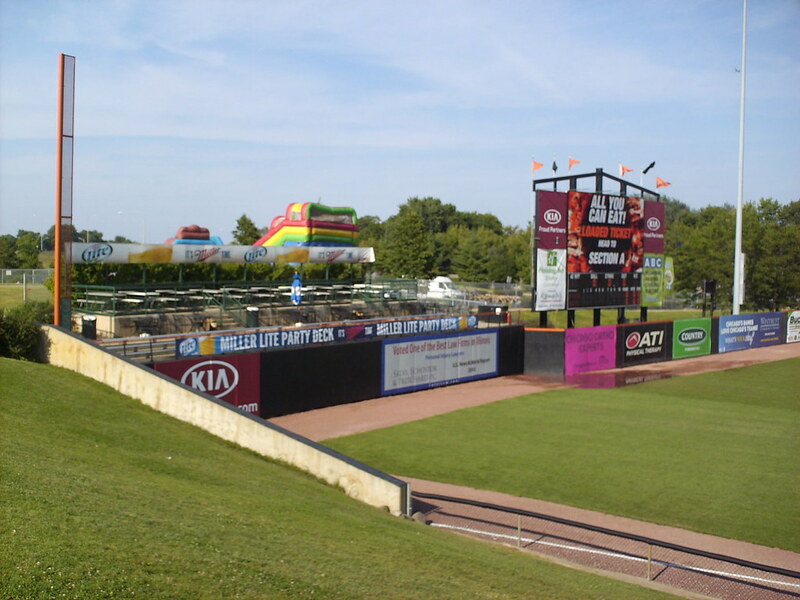 The scoreboard and outfield fence at Boomers Stadium. 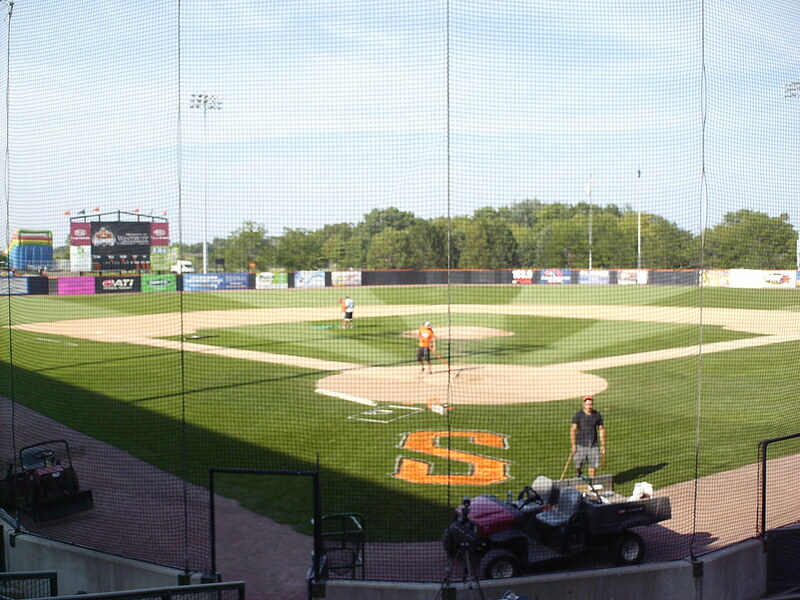 The Schaumburg Boomers on the field during a game at Boomers Stadium.